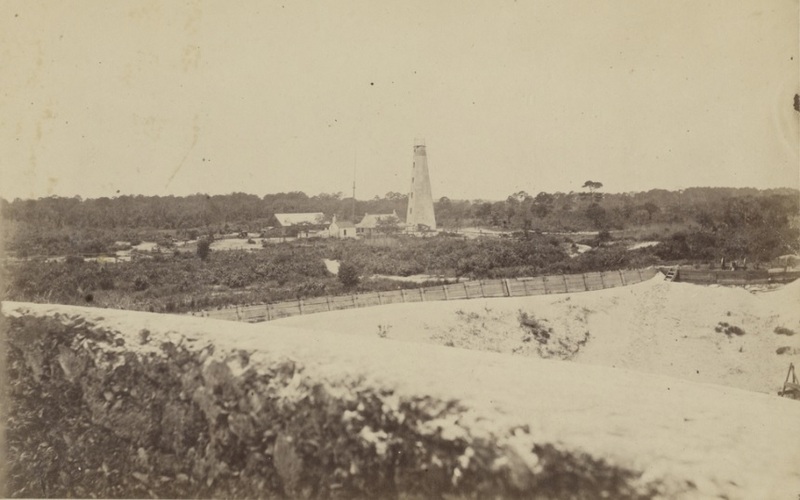 In the spring and summer of 1862, the Berrien Minute Men, Company D (later Company K), 29th Georgia Regiment were stationed at Causton’s Bluff near Savannah, GA. Company D was the second of two companies known as the Berrien Minute Men, recruited from Berrien County, GA during the Civil War. 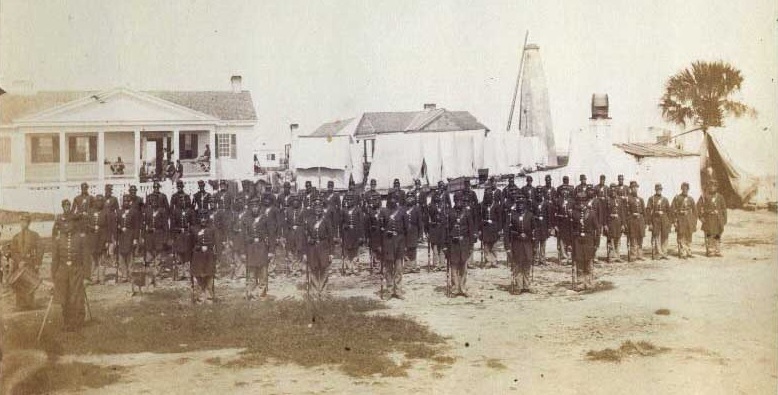 In the early months of the war, the Campfires of the Berrien Minute Men were made along the Georgia coast, with the 13th Regiment at Brunswick, then at Sapelo Island, and Darien, GA. By early 1862 The Berrien Minute Men, having gotten “regulated” into the 29th Georgia Infantry Regiment , were sent to the Savannah, GA area to Camp Wilson, and Camp Tattnall. 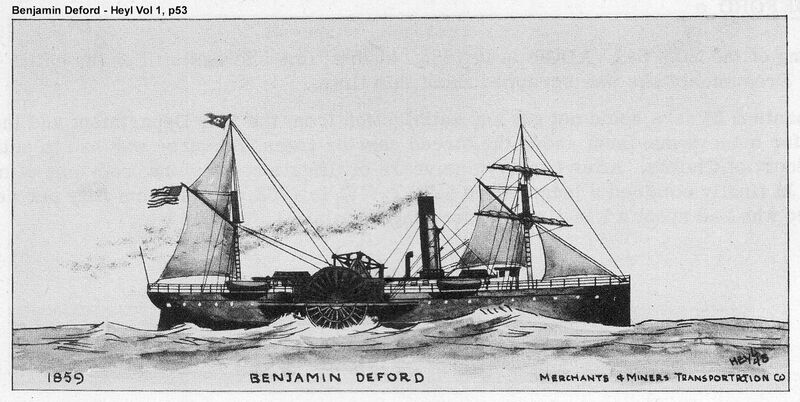 From there, the first company of Berrien Minute Men, Company C (later Company G) would go on to stations at Fort Jackson, then Lawton Battery on Smith’s Island in the Savannah River, while Company D went to Causton’s Bluff. Preceeding the war, Causton’s Bluff Plantation and allied Debtford Plantation comprised 700 acres of rice fields, owned by Robert Habersham and cultivated by his slaves. 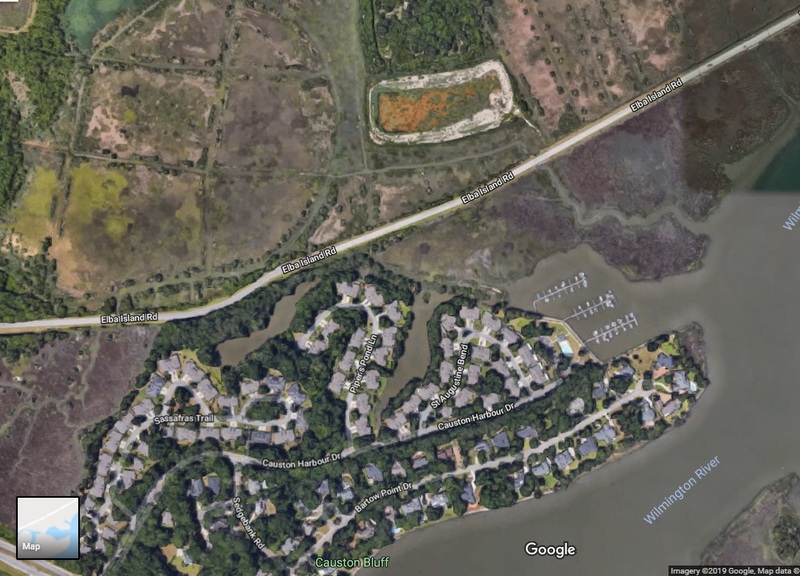 Remnants of the rice fields on the marshes adjacent to the bluff can still be seen in satellite images. Remnants of rice fields adjacent to Causton’s Bluff are still visible in satellite images. 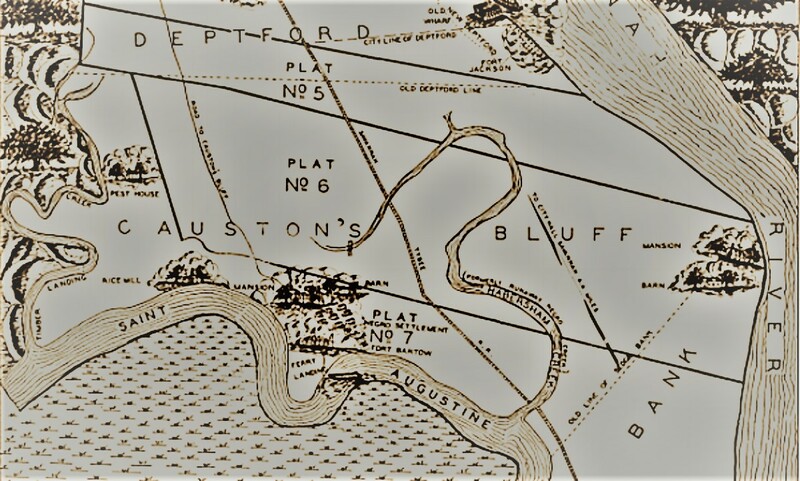 Causton’s Bluff had been a considered a point of vulnerability in Savannah’s defenses since before the Revolutionary War, “on account of the landing being good, and approachable by water two ways.” “This twenty to thirty foot bluff strategically commanded the rear approach to Fort Jackson, on the Savannah River, and the approach to the part of the eastern lines of the city.” Union commanders regarded an assault on Causton’s Bluff as “the key to Savannah.” The bluff, about three miles east of Savannah, overlooked St. Augustine Creek and Whitemarsh Island (pronounced Whitmarsh Island). 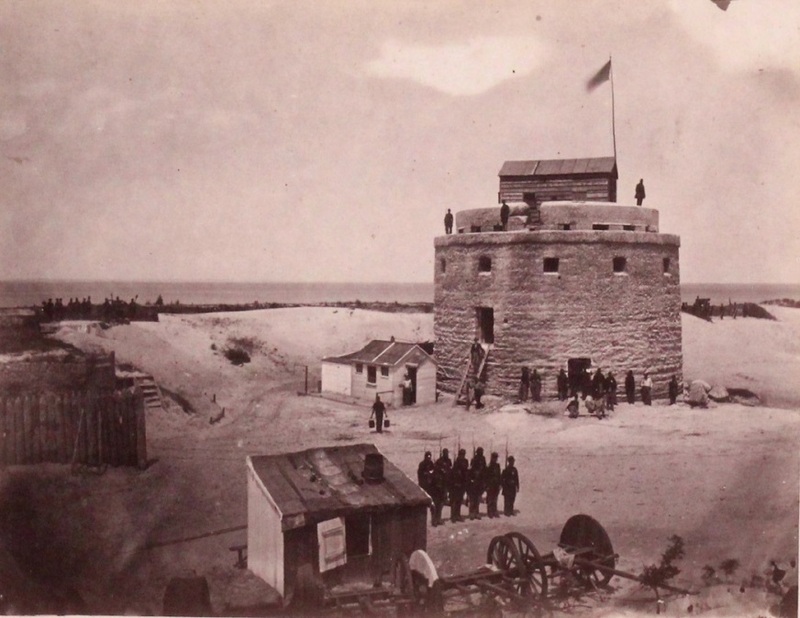 Eleven miles to the east of Causton’s Bluff on Tybee Island, GA, Union soldiers agreed that the weather was fine. 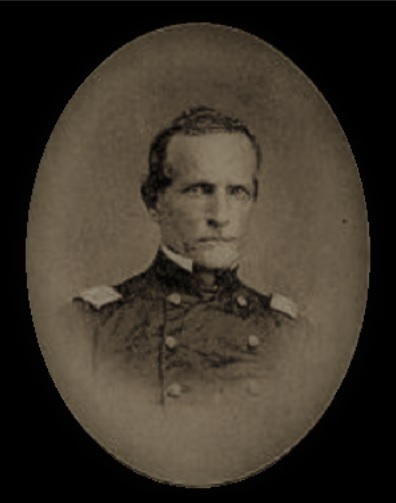 Captain Horace Porter, the engineer-officer of the regular army on Tybee Island, later received the Congressional Medal of Honor for actions at the Battle of Chickamauga. 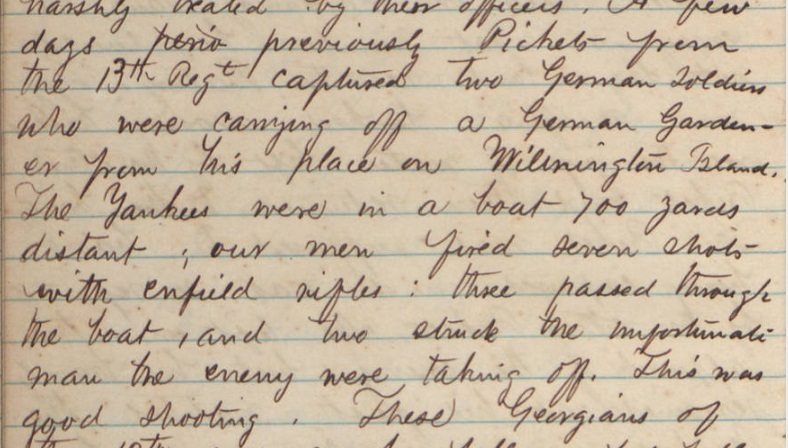 In a letter of December 26, 1861, Captain Horace Porter, 46th NY Regiment wrote to his mother, “It is still so warm that you don’t even need a coat.” In another letter, Captain Porter added, “One disadvantage is that this place is full of mice. 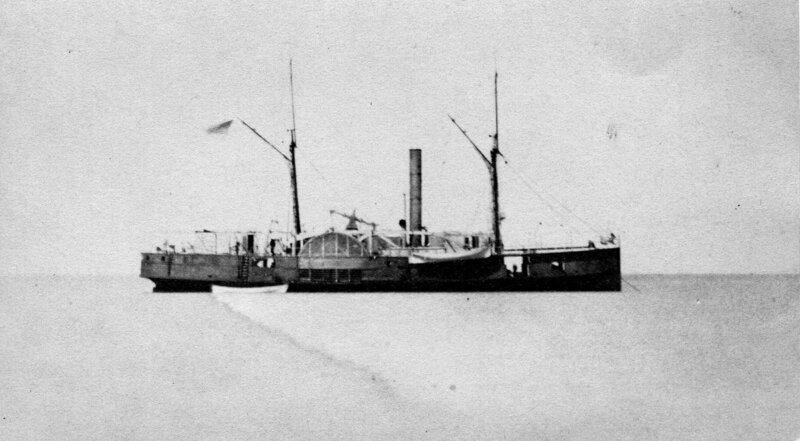 During the night they constantly jump over our heads.” The 46th NY Regiment had “in a total strength of 35 officers and 673 men, 16 washerwomen, and campfollowers with 15 horses” had arrived on November 9, 1861 on the steamship Cahaba. Prior to the war, Tybee Island, though beautiful in itself with its oaks, pines, palmettoes, jungles, wild plums, yams and vines, was but a semi-civilized region. The wild hogs we found there, made still more wild by the thunder of our guns in the siege of Pulaski, were not wholly exterminated during the war-strokes. With great difficulty our boys found them within good rifle-range. Perhaps Captain Churchhill will not soon forget how, at a later date, as he was crossing the island on horseback, these savage swine deployed on his flank from the thicket, so frightening the horse that he dashed like a comet through the sand-hills and trees, giving the Captain a ride a la John Gilpin. Tybee yams and wild fruit failed to make sweet or tender pork. 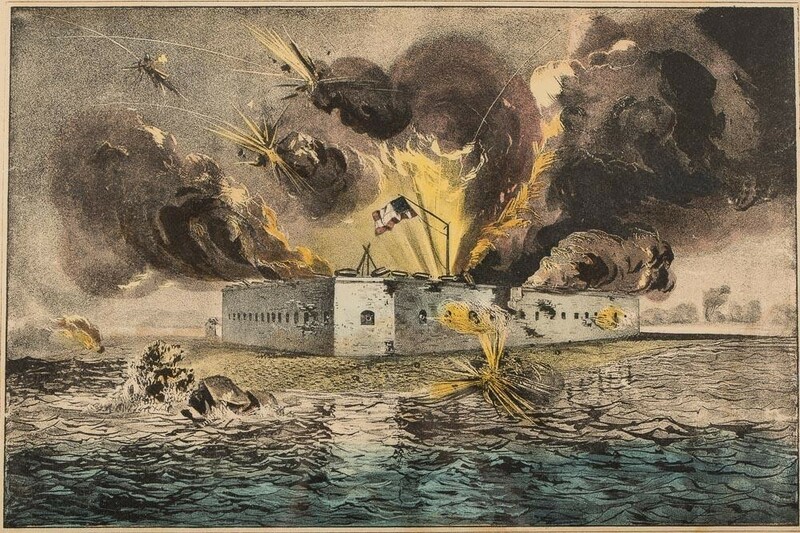 The Federals had occupied Tybee Island on November 24, 1861 after it was abandoned by the Confederates, and through the winter of 1861-62 the island was garrisoned by the 46th New York Regiment. 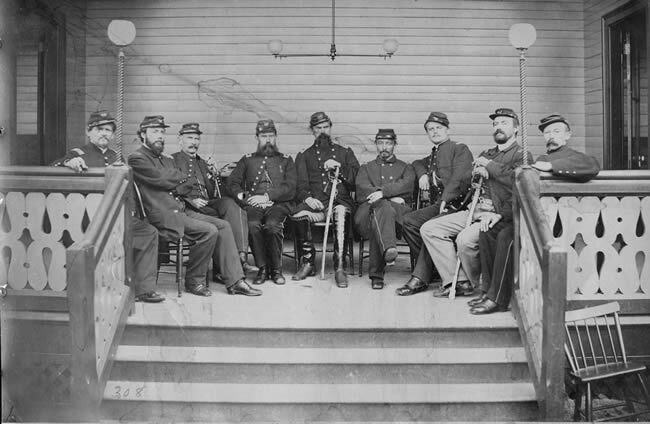 The 46th NY Regiment had been recruited in New York City and was mustered into the U. S. service in the summer of 1861 under the command of Col. Rudolph Rosa. The regiment was composed entirely of German immigrants. There was the savor of German cooking in the mess and the sound of German songs in their camp. All the commands were given in German at drill. The various bugle calls such as reveille and taps, were the same as those used in the German army,” recalled Captain Horace Porter, the engineer-officer of the regular army. Not only that, just as in Germany, the soldiers addressed their superiors as “Herr Major” and “Herr General.” The companies were numbered after the German fashion from one to ten. The “Regimental Order Book” was written in German. – Ernst Mettendorf, Zwischen Triumph und Desaster : Ein deutshes Regiment im amerikanischen Burgerkrieg. The bivouac of the 13th GA Regiment on Causton’s Bluff must have seemed all the more charming to Private Jenkins considering the regiment’s experiences of the previous year. 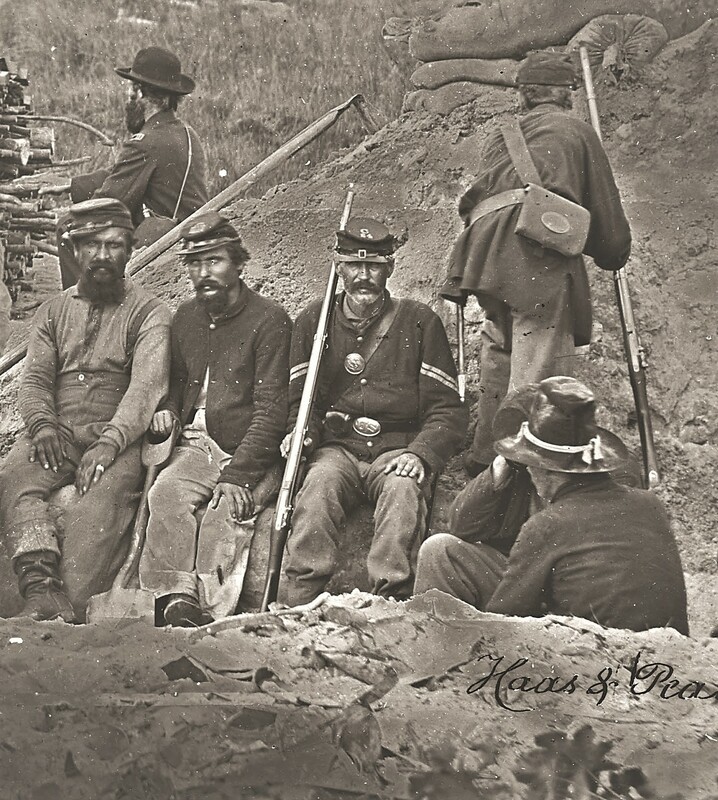 The 13th GA Regiment had headed into war in Virginia armed with flintlock muskets, marching through mountains, camp fever, short rations, wet, muddy, weary, “gun and cartridge box for a pillow,” sometimes “crawling from one grub, shrub, cragg and cliff to another,” sometimes cold and frozen. 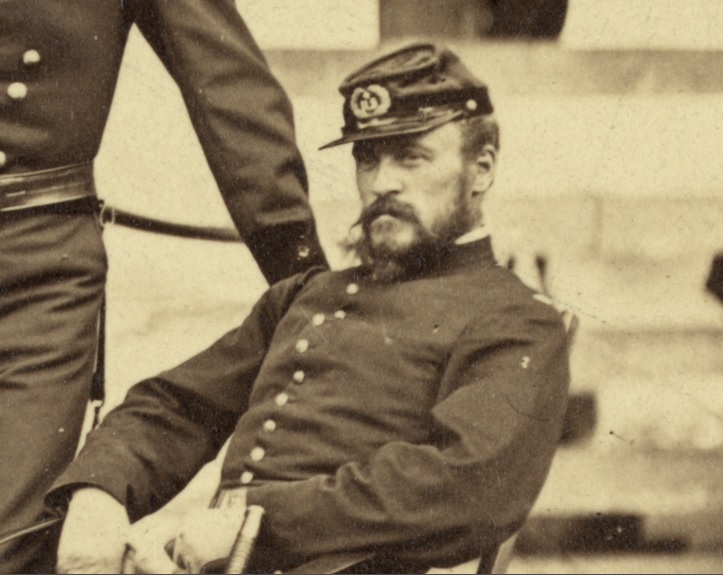 Despite the relatively pleasant winter weather on the bluff, in the following week Jenkins came down quite ill. He was sick “with evident symptoms of cold, feverish sensations and general debility” followed by “high inflamation of stomach and bowels.” On New Year’s Eve, Jenkins wrote, “Still no better. Evening with high fever. 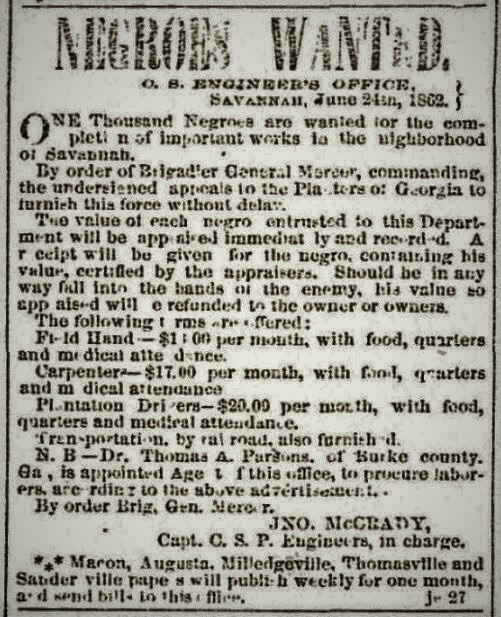 After taking three opium pills I find that I am getting still worse.” Jenkins was furloughed to Macon, GA for recuperation. 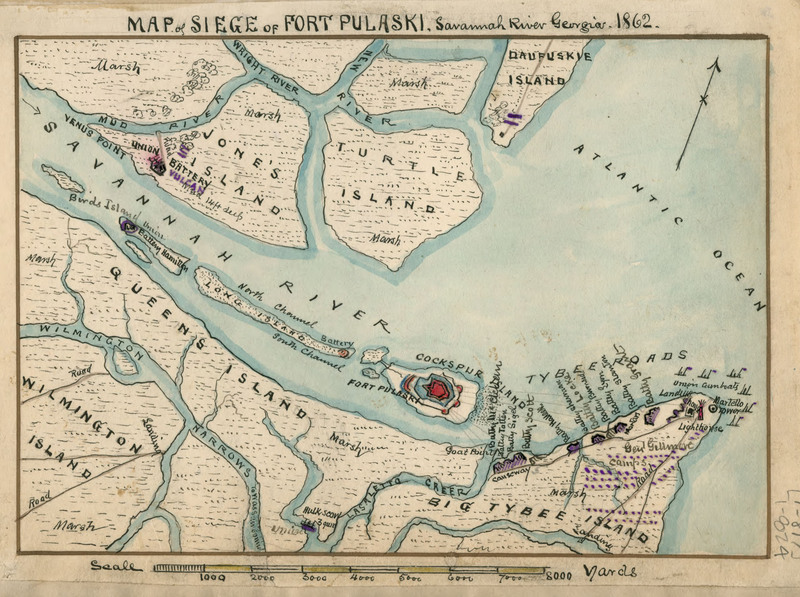 The 46th NY Regiment and other U.S. regiments on Tybee Island would soon challenge the defenses of Savannah.